Support a small business by choosing your web host through Web Host List. Top 10 web hosts. 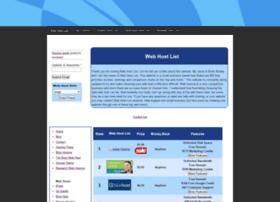 Compare shared, dedicated, and reseller web host lists.